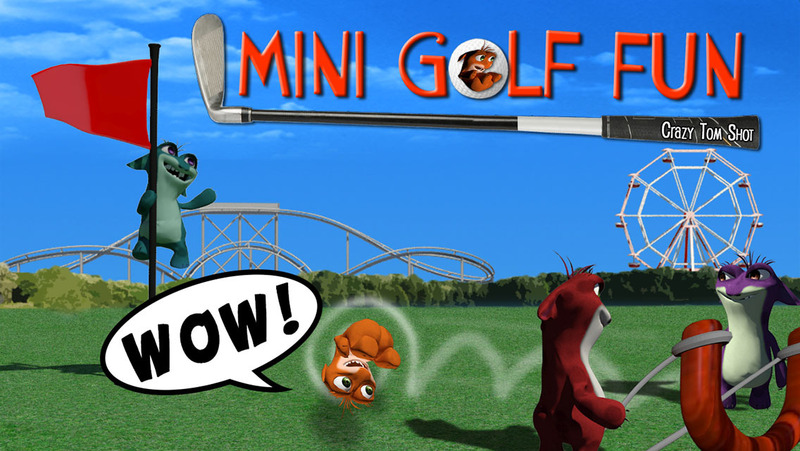 Play with this funny and addicting cartoon mini golf game. If you are tired of the usual mini golf games with the classic ball and the classic gameplay, try something new! 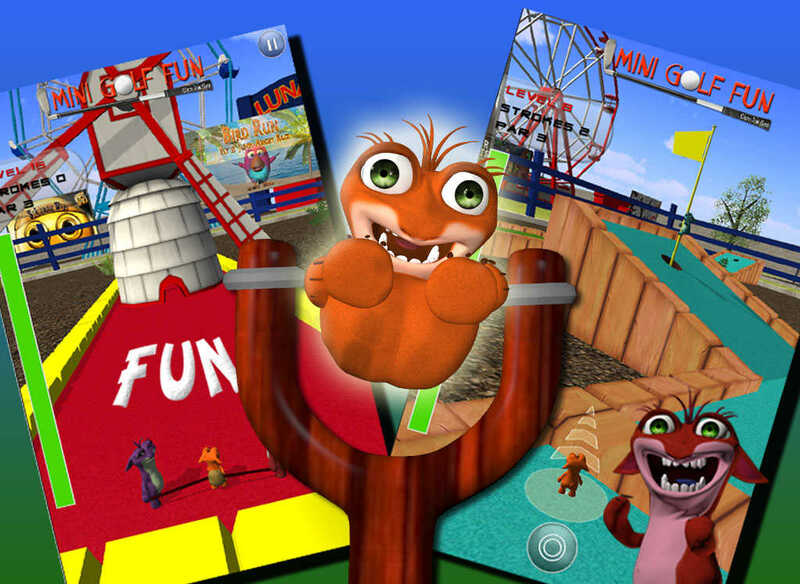 Meet Tom and his friends at the amusement park. 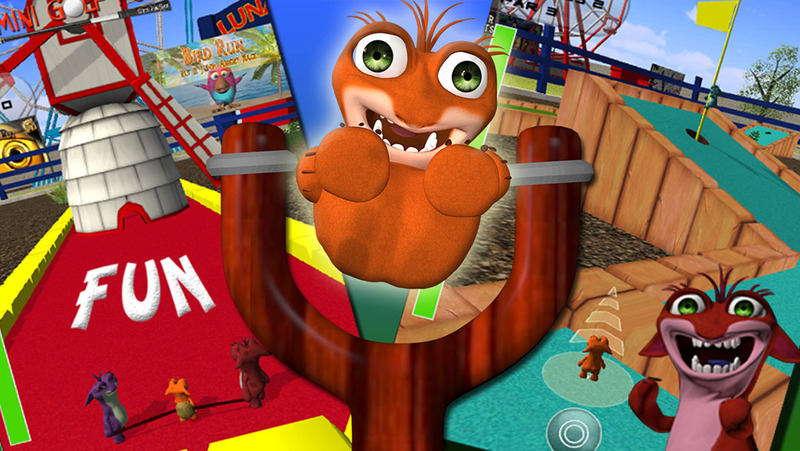 Tom and his friends are some little creatures living at the borders of a cool amusement park, with a big passion for mini golf. In fact every time the park closes they are getting out of their burrows to sneak into the park and play an unusual mini golf game. Tom which is the smallest of the whole group rolls himself up until he looks like a ball and 2 of his friends take an elastic band to throw him towards the hole, like you would do with a slingshot. After the first shot the game play will change from slingshot modus to arrow modus with a power bar, for a more precise stroke. Advice: Remember that the first hit will be the most difficult, so do not put too much strength in it because it will simply make Tom fly out of the track. Try to find the shortest and easiest path to the hole in order to rise your score. If you can make it with no more than 3 par (hits) you will get three stars. Enjoy hours of fun with this challenging free app!